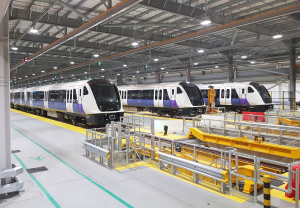 Rail technology leader Bombardier Transportation has received an order from Transport for London (TfL) for five additional BOMBARDIER AVENTRA trains for services on London's Elizabeth line increasing the total order to 70 trains. The agreement also includes an expansion to the existing Train Services Agreement to cover the new trains. In total the additional contract is valued at approximately £73 million ($104 million US, 84 million euro). Mark Wild, TfL's Managing Director for London Underground and the Elizabeth line, said: "The opening of the Elizabeth line in December will redefine transport in London with journeys made easier and trains passing through brand new tunnels beneath central London to new, accessible stations. The additional trains will allow us to serve all the terminals at Heathrow and provide an increased frequency when the line is fully open in December 2019." 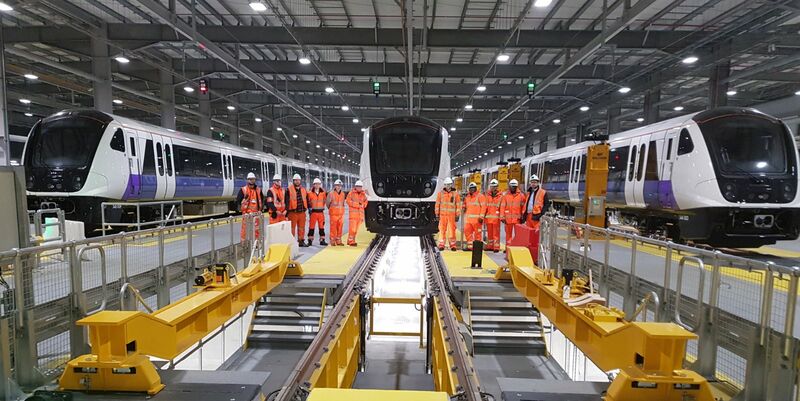 Richard Hunter, Managing Director, Bombardier Transportation UK said, "The Elizabeth line is set to transform transport in London with quicker, easier and more accessible journeys, and we are proud to be playing our part. This important additional order is an endorsement of our workforce and the quality of the products we design, engineer, manufacture and service in the UK." The additional cars will be formed into five 9-car units and enable a capacity boost to the central section of the new Elizabeth line service, and for the extension of services to Reading and Heathrow Terminal 5. Each train, can carry up to 1,500 passengers, and include air-conditioning, interconnecting walk-through carriages, and have been designed with an emphasis on energy-efficiency and intelligent on-train energy management systems. The trains also incorporate technologically advanced condition-based maintenance systems including the BOMBARDIER ORBITA predictive maintenance capability and Automated Vehicle Inspection System. 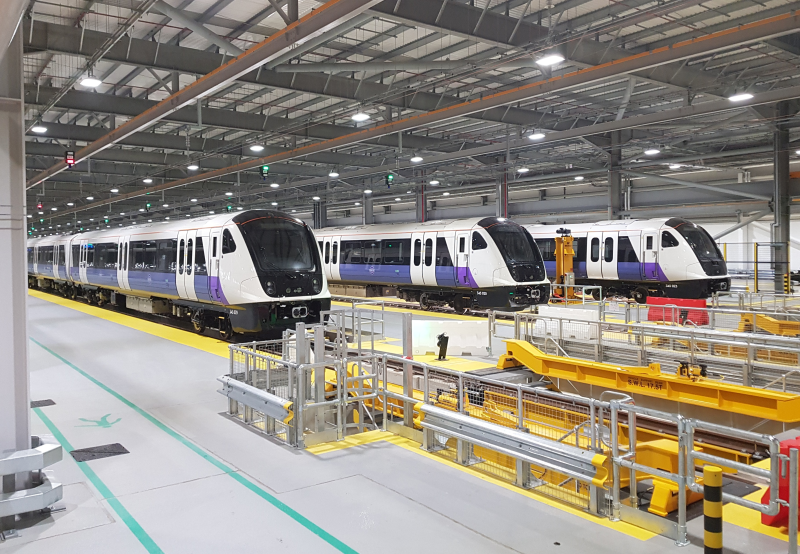 These extra cars will be added to the 585 cars already in production in Derby for the Elizabeth line and are scheduled to enter service by the end of 2019. 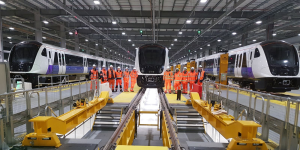 Jointly sponsored by the Department for Transport (DfT) and TfL, the Elizabeth line is the largest infrastructure project of its kind in Europe and is now in its final stages. When complete, London's new railway will carry over 200 million passengers per year and add 10 percent to central London's rail capacity. The Class 345 trains for the Elizabeth line are already in regular passenger service for TfL Rail between Liverpool Street and Shenfield, undertaking driver training operations on the Great Western lines from the new Old Oak Common depot, and are undergoing testing operations in both in the central tunnel and on the Heathrow branch. Bombardier, AVENTRA and ORBITA are trademarks of Bombardier Inc. or its subsidiaries.